Sold by Shop4-U and ships from Amazon Fulfillment. 1.0 out of 5 starsPages missing!!!! I ordered this book for my daughter and she couldn’t put it down but at page 573, it jumped to 620. I’ve missed the return window. Just make sure to check the pages as soon as you receive the book. 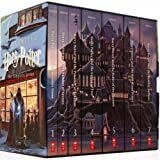 Great price, but it is all 7 books combined into one volume and one table of contents; which makes navigating to different books and chapters a bit more difficult than if they were 7 distinct books. 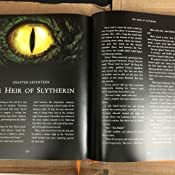 5.0 out of 5 starsAn absolute must-have for the Harry Potter fan! 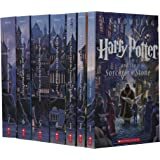 IMPORTANT: For U.S. customers purchasing the illustrated edition of Harry Potter and the Chamber of Secrets, you will notice the text has NOT been converted to the "Americanized" version of the original U.S. releases. This difference isn't as prominent or noticeable as it was with Harry Potter and the Sorcerer's/Philosopher's Stone, but still something to keep in mind. Also, to answer a question that has come up quite a bit, this is the FULL BOOK and not an abridged or shortened version. The overall quality is fantastic. 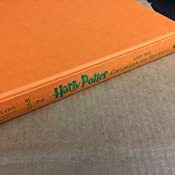 The colors are vibrant and the images are, in my opinion, even better than those in Harry Potter and the Sorcerer's Stone: The Illustrated Edition (Harry Potter, Book 1). 5. Every inch of the book is illustrated or decorated in some fashion. There are NO white pages in the book. 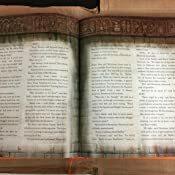 Even the pages without large illustrations have the paper printed and marked with ink blots or paper "stains". In Chamber of Secrets (compared to Sorcerer's Stone), some pages even have beautiful patterns over the entire page. 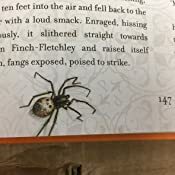 One page has a spider-web pattern and is right next to a picture of Aragog. Quite brilliant overall. 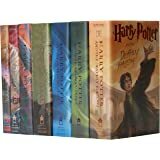 I would highly recommend this for anyone looking to read the series (again, or for the first time), especially if you plan to read this with someone younger. Based on the fact that the illustrations for this book were even better than in the first book, I'm now looking forward to the rest of the series even more. Prisoner of Azkaban is next and I'm heartbroken it'll be so long before I get to have it in my collection. 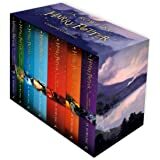 5.0 out of 5 starsNo ones a muggle when you read potter! I am now in my second read through of the books. I finished them in three weeks. We've watched the first three movies and I await my daughter finishing each box anxiously so we can watch the next! The books are so well written they transport you, nothing less. It's a great escape at the end of the day. As for all the Christian hullabaloo there's no real magic in the book. It's on par with bewitched or cartoons. I suppose if you're the type to ban Disney then these aren't for you, but for the rest of the population they're really harmless and silly. The later books are a bit darker but the first several are really kind of cartoon magic. This second book is better than the first as we are already introduced to all the characters. 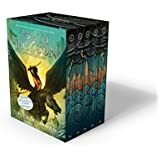 Character development and friendships deepen in the second book and you begin to become attached to the little magicians and start to realize why this series created such a rabid fandom. The books are adventurous and imaginative and have so much heart. The stories are packed with substance- very little to no filler in these books. They're a kids series, but it's the first time in a long time I have read a book and didn't feel like skimming a good bit. There's nothing you want to miss in these! It's great for a parent to read with their child, bc anytime you can bond over something especially as they get older it's a wonderful thing. And for those adults who didn't read as a kid, go ahead, you won't be bored. Yes they're kids books but they're written on a level everyone can enjoy. That's the real magic! The Chamber of Secrets is in my opinion the weakest of the Harry Potter books. Still, it is a great read compared to 90% of other books in general, and 99% of other children's fantasy novels. The art in these books are simply amazing. They add to the story subtly, rather than take the story over as the movies did. To me, this is vital, as part of the joy of the Harry Potter world is the evocation of your imagination. I am happy to give my kids a little push with art, as they clearly still create their own images of quidditch, Hagrid, and the often explosive and unexpected effects of Ron's broken wand. 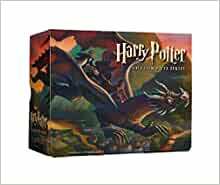 These illustrated editions of Harry Potter were done right! All of the original text is there and the artwork is beautiful. Every page has something, whether it's an illustration that takes up a full double page spread, a little drawing in the corner, a thematic border, or just a visually textured background. It may sound chaotic, like the visuals could be too much and break up the flow of reading but it is not; it enhances the story as you turn the pages and delight in the new visuals that each page brings. I imagine these would be a great way to bring children into the story, but they're so nice you may want to protect and collect these beauties. I can't wait for them to release the others.